Looking for a one-stop manager of your domain portfolio? A partner which will accommodate your global domain registration requirements, including restricted countries, and further provide you with excellent personal service and the online tools required to easily manage your domains. Established in 1998, country specific domain registrations and portfolio management remains our core business. With Web Solutions you will enjoy state-of-the-art online domain management tools, but just as importantly an unprecedented level of customer service, technical support and complementary services. We are an accredited domain registrar in most countries, and work directly with the local domain authorities to provide you with the highest level quality service, where both speed and reliability are the essential factors. Registration of international domain names is a time-consuming task. Almost every country has its own unique rules and requirements, and those rules change often and with little notice. From the main economies to domains in small island states, we know the domain registration business and the ins and outs, do’s and don’ts of registering domain names across the world. By working with a personally assigned domain specialist at Web Solutions, your domain registration objectives will be fulfilled efficiently and save you time and administration. The actual domain registration is only the beginning of our services. We assist throughout the domain life-cycle, from the initial registration to the agreed periodical renewal pattern and finally on to the identification and release of obsolete domains. Domain names are risk filled “property”. As rules and regulations change, your domain needs updating and maintenance. If your contact person leaves the company or maybe the whole company relocates, you can rest assured that we will maintain and update all details. As a global registrar our primary obligation to you is to make sure that all data is kept up to date, and that no domain names are lost due to rules not being complied with, data being redundant or invoices not being paid in time. We strive to provide our clients with the tools necessary to simplify management of large and diverse domain portfolios. New domain registrations are only a few clicks away. You order, we handle the rest. Enjoy unique freedom of choice. With our flexible module, you can define your own hierarchy of accounts, users, user rights, billing options and domain profiles. Easily manage and update DNS records on selected groups of domains. Select Web Solutions as your global domain registrar! With us you do not wait on-hold! Personal and professional service is key to us. Whether you need information related to domains or assistance with solving a technical issue, our experienced Customer Service and Support staff are only an email or a phone call away. One of our domain name specialists will personally oversee and assist with the management of your account. Our aim is to keep your administrative burden at a minimum. We will assist with preparation of all relevant local-language letters and documents, and forward these for your signature. With Web Solutions you do not need to opt-in renew each year. We simply auto-renew all domain names unless you cancel them. We secure your domains now and in the future. Domain renewals are double checked/verified. 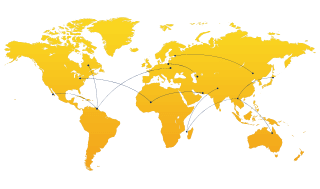 We are in constant direct contact with the local country-specific domain authorities. One invoice and zero language barriers. Receive a minimal amount of annual renewal invoices.